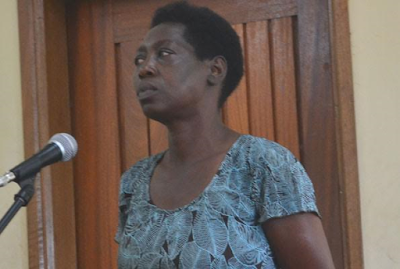 A Ugandan nurse who uttered false HIV results has been found guilty and sentenced to a 12-month jail term if she fails to pay a Shs2 million fine. Entebbe Chief Magistrates Court heard that on August 24, 2015, Ms Samali Mukooda, a nurse at JBK Medical Clinic in Kawuku, Wakiso District, carried out an HIV test on a one Don Byakatonda who tested positive for HIV. However, Byakatonda, requested Mukooda to make for him a medical document showing that that he was HIV negative which he could present to his wife. Court that was presided over by Ms Mary Kaitesi heard that Byakatonda, a former employee of the Aids Research Centre in Kampala had carried out an HIV test at Ebenezer Clinic Laboratory in Kampala on March 3, 2015 where he found out that he was carrying the virus that causes Aids. In her defence, however, Mukooda who admitted to altering the results said Byakatonda pulled out a pistol and threated to shoot her if she defied his orders.